Sony Xperia XZ Premium Launches In PH, Priced At PHP 45490! 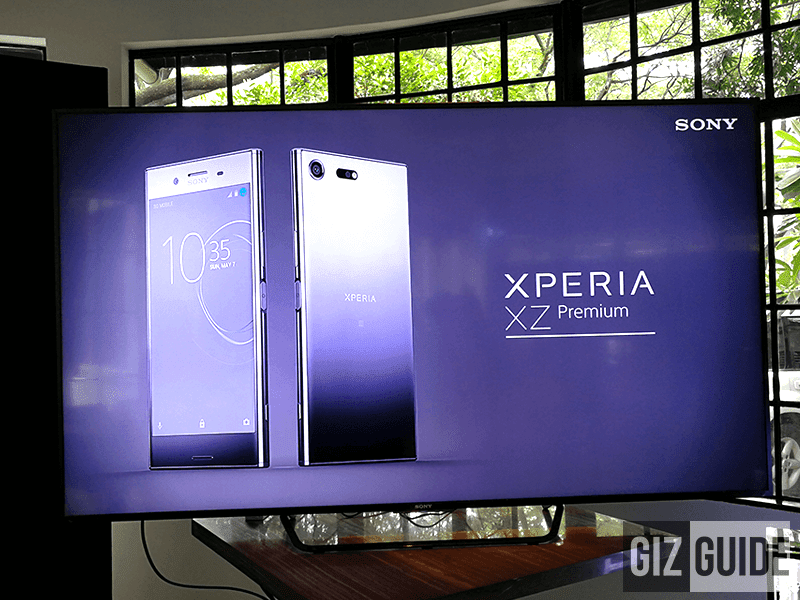 Home / mobile / news / sony / Sony Xperia XZ Premium Launches In PH, Priced At PHP 45490! Following the local release of Xperia XA1 and Xperia XZs, Sony launches the Xperia XZ Premium high-end camera-centric smartphone for the Philippine market. Specs-wise, the Xperia XZ Premium ranks among the most powerful Android smartphones in the world today. It's equipped with IP65 / IP68 water and dust resistance body and super sharp 5.5 inch 4K HDR screen with whopping 881 pixels per inch. Inside, the the handset boasts a 2.45 GHz 64 Bit Snapdragon 835 octa core processor, Adreno 540 graphics, 4 GB RAM, and 64 GB of expandable storage. It has 3,230 mAh w/ Qnovo Adaptive Charging, 13 MP f/2.0 1/3.06 Inch Exmor RS sensor, fingerprint scanner on the right side, LTE connectivity, HiFi audio, dual SIM slots, and boots with Android 7.1 Nougat OS. The Sony Xperia XZ Premium will retail for PHP 45,490 starting June 30, 2017. It'll be on pre-order starting June 1 to 18, 2017 with FREE Sony Wireless Bluetooth Speaker (SRS-XB20) worth PHP 4,999. The bronze pink color variant will arrive by end of July.